It’s time for another feature of a Latina Entrepreneur who is bossing it up and making it look fabulous. As someone who has zero talent when it comes to actually creating tangible items, I am always in awe of those who can do this. I am a big fan of handcrafted ANYTHING. That’s one of many reasons that I am thrilled to introduce you to Ofelia Bretón, founder of Frida & Chloé, a curated e-shop with a social purpose based in Dallas. 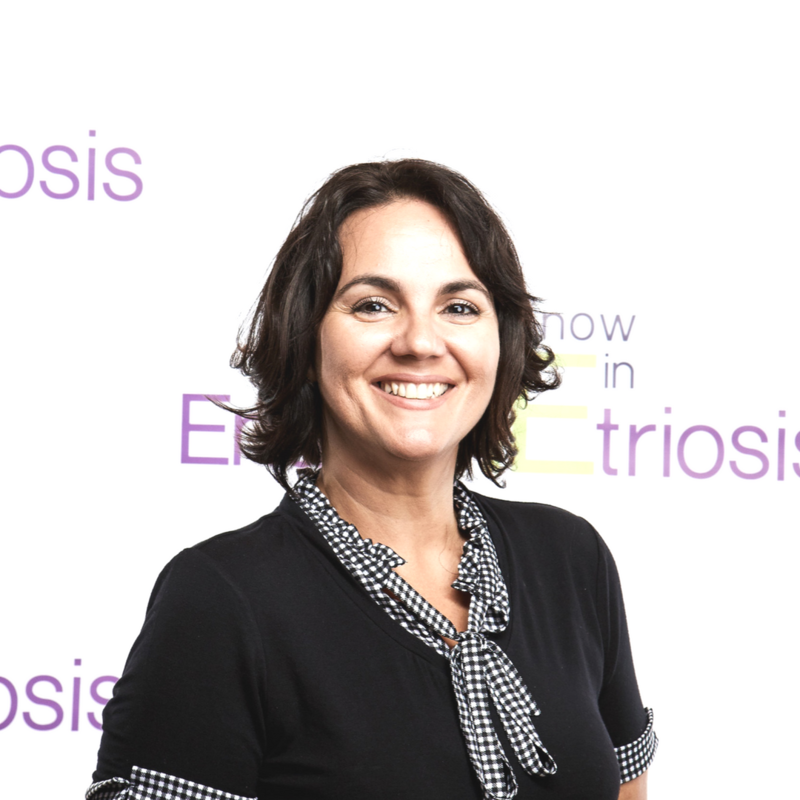 Her passion and commitment are linked to her purpose in life: Empower Women. This interview is a real treat in that Ofelia is very candid about the actual process of creating her business. She takes us through everything from the point of inception to gathering the right resources and, finally the execution. Where were you born and what is your heritage? I was born and raised in Mexico City and both parents are Mexican. What challenges, if any, do you think being Latina brings you as an entrepreneur? I have yet to face any challenges as a Latina entrepreneur. My mentors at SBDC and SCORE have been very supportive with my project regardless of my origins. What benefits, if any, do you believe being a Latina brings you as an entrepreneur? Latinas are fierce and strong by nature, which are two qualities that make us pursue our dreams. Our motto is “Sí se puede” and we want to show the world that we are able to conquer everything. Being a successful entrepreneur requires perseverance and determination. I’m very proud to have Latina blood and being creative to overcome any challenges. Living abroad for the past 15 years, I discovered my passion for fashion in France while working for apparel and jewelry designers such as BCBG Max Azria, Tara Jarmon, and Swarovski. I moved to Dallas three years ago, and the idea of entrepreneurship came to my mind in November 2016 when one of my close friends was wearing one of the unique handcrafted necklaces that are now available through Frida & Chloé’s website. A few months later, I decided to become a mompreneur and make my dreams come true. Frida & Chloé was launched in 2017 as an e-shop to empower women designers and artisans. I had an “aha” moment when I attended “Latina Business Style Series” in Dallas. I felt energized by so many inspiring stories, and I realized that I wanted to support women because we are much stronger when we stand together. My social purpose is to give back to the community so a % of proceeds are donated to support local non-profit organizations and make a difference in the lives of other Latina women. Subscribe to our mailing list and follow our social media handles to enjoy our promos and giveaways during the year. We love surprises, so stay tuned for the upcoming offers to thank you all our customers and followers for their support. Frida & Chloé is based in Dallas with national and worldwide shipping. I spent several months attending coaching sessions and workshops at the SBDC (Small Business Development Center) which provides free assistance to small business owners. Once I set-up the business plan, I met a lawyer and a CPA for a free consultation, and I decided to create an LLC. I come from a Marketing background that includes market research, assortment planning, and customer service. I needed International Trade assistance, and I got the chance to have a wonderful mentor at SCORE. He provided me with all the information required to import the products from Mexico. I learned how to fill the customs documentation and since the beginning I have been doing it by myself. I remembered that my first shipment arrived in June 2017, and I was so excited to finally see how my project had become a reality. The next step was to hire a photographer to finish the website which I entirely set-up including the content. In July 2017, I launched the e-shop and since then our brand has participated in 15 trunk shows in Texas and California. Networking, social media and trunk shows. I enjoy attending business conferences to share best practices and learn from other entrepreneurs. I always get something positive from the new connections I make. During our trunk shows, we are able to elevate our story and showcase our products letting us raise awareness and get new customers. My biggest challenge has been to find a balance between my family and my business. I’m a mom to four-year-old twins so I’m always multitasking throughout the day. Sometimes, I used to feel guilty because I was working when my kids were at home. I wasn’t happy with this situation because I felt that I was not paying attention to them so I decided to change my organization, and now I close my computer and enjoy being present for them when they aren’t at school. Of course, if I need to respond an email or take a call, I will do it as soon as I can, but my children remain my priority. I learned that sometimes you need to make adjustments to your way of living, and the most important is to move forward to pursue your dreams. Take small steps when you can’t run, own your vision and don’t give up! The days I work full time, I start my day by prioritizing the tasks that need to be done. I focus only on themes that will drive growth, either on personal or business development. I also rely a lot on my husband. I attend several networking events during the week, and he has been very supportive and helpful. Being surrounded by positive friends and entrepreneurs help me to overcome challenges. I also have a mentor, Rory Lassanske, founder of Círculo de Mujeres DFW, who has always been by my side since the beginning. She has helped me to never give up, and she definitely has been one of the keys for my success. I also have a passion for reading inspiring stories from women in business. I learned that they all have in common the power of persistence in the face of adversity. They haven’t quit when they have been overtaken by temporary defeat. Instead, they have planned how to achieve their goals until they reach them. 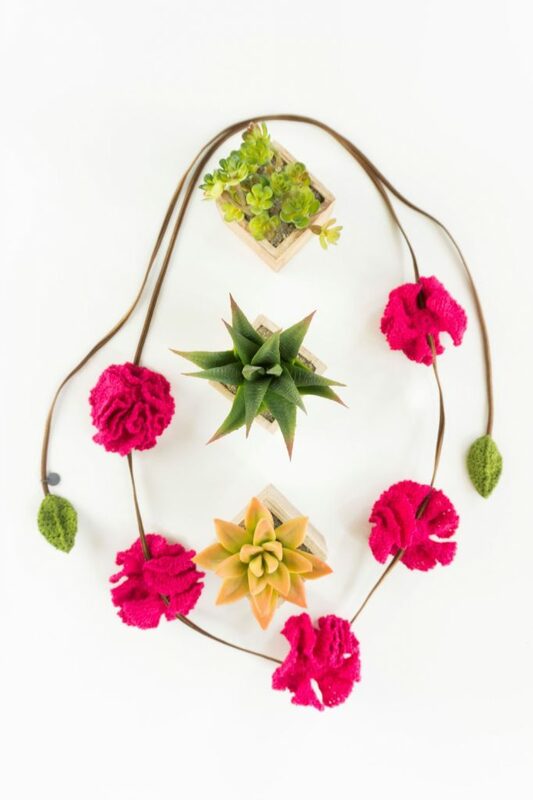 Frida & Chloé brings to you unique knitted necklaces that you haven’t seen before. I aim to curate handcrafted pieces from women with exceptional talents. One of the criteria of our product portfolio is to offer our customers treasures to collect that you can’t find anywhere else. What advice would you give to other Latina entrepreneurs? Being an entrepreneur is a challenge, but if you believe in yourself and you’re passionate about your business, you will have the right mindset to achieve your goals and keep going along the way. And last but not least, encourage other women to step outside their comfort zones. Empower them to achieve their very best and give them strength. Remember that together we are stronger, and one woman’s success is inspiration for another. As a website owner, Google Analytics has been my favorite tool to understand the visitors’ behavior and improve my business. Option B from Sheryl Sandberg and Adam Grant. Who is your hero or the person you most look up to for inspiration? Ana Flores, Founder and CEO of Latina Bloggers Connect, has been my inspiration since I met her at #WeAllGrow Summit. She created the first and largest network of Latina digital influencers with a mission to elevate the voices and stories of Latinas through the power of community. She inspires me to embrace my fears and step out my comfort zone. I follow her IG lives from Monday thru Friday as a daily routine and that keep me focused on my purpose. We discuss different themes, and during these conversations I can feel the power of sisterhood with all my fellows Latinas. When I was in California, I got to fully experience the mantra of the organization: “When one grows, we all grow.” A movement where we support each other, we lift each other and we nurture meaningful connections. I’m learning how to optimize my website, SEO, and online marketing. I’m planning to develop my photography skills to be able to shoot the new arrivals by myself and minimize the costs with outsourcing. My word for 2018 is GROW. I want to acquire new skills and focus on developing Frida & Chloé. I’m striving to achieve my goals by optimizing my website. I will switch to another platform to improve the customer experience and set-up online marketing tools to help me thrive. The next few months I will be curating new products from exceptional women expanding my business to clothing and home accessories. Our jewelry collection will be available in high-end boutiques. 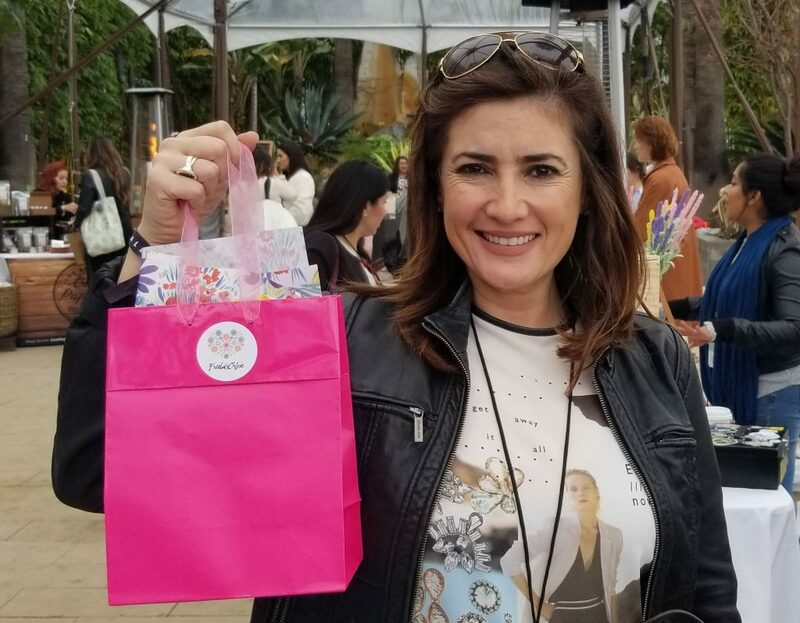 In 2018, Frida & Chloé was selected as one of the Latina owned-business to participate at the Latina Makers Market at #WeAllGrow Latina Summit in Long Beach, California. Hosted by Latina Bloggers Connect, this professional conference for Latina influencers and creative entrepreneurs gathered in one place with 500 attendees during 3 days. Our beautiful jewelry was showcased for the first time outside Texas, and one of our customers was Naibe Reynoso, a Multiple-Emmy Award winning Latina Journalist, Reporter, Producer and Host. We were thrilled that she chose to wear one of our necklaces to attend the 90th Oscars Academy Awards Ceremony. If you’d like to connect with Ofelia on social media, and I totally think you should, then check out her social profiles and get to following and networking! Ofelia is the perfect example of a Latina entrepreneur to watch out for. Her story is a perfect example of how much an entrepreneurial journey can be supported by mentors and a strong network. I hope you enjoyed learning about Ofelia and her company Frida & Chloé. Be sure to check out their website. I would love hear how this story has inspired you in the comments. Meryland, I am seeing the same thing and it’s so exciting chica! Wow! A Latina Entrepreneur in DFW, just like me! And I also presented at WeAllGrow. What a small world. Thank you, Danay for featuring this amazing woman. Now I need to meet her! These necklaces are super cute! 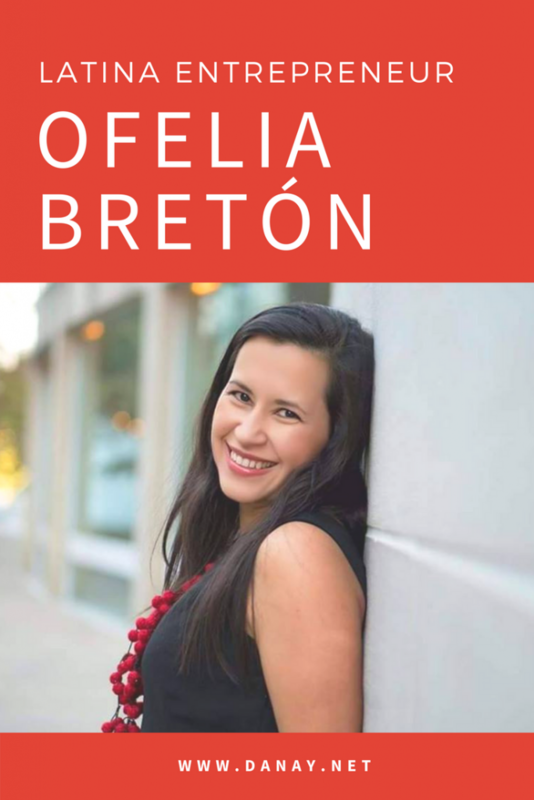 Thanks for sharing Ofelia Bretón’s story with us! Wonderful interview with such great information for those just starting out. I wis you luck on your journey as an entrepreneur. This is an awesome interview. Great inputs to share to those who are aspiring entrepreneurs. Great story. I like to listen to the story of successful women. I am delighted that successful women in their business help other women to become successful in their business. That’s my mission too! Yes, I love learning about women helping each other too. I love this interview – a true success story and some valuable insight too. I enjoyed reading about Ofelia’s story. She is definitely an inspiration! It is amazing to see what can happen when we embrace our fears and step out of our comfort zone. Ofelia is such an amazingly inspiring, determined and purposed woman! Love it. Watching how website visitors behave on the site can be so interesting. My current goal is finding the deadends, the places where I lose people. By linking to other content, I’m trying to keep them around longer. Ofelia sounds like a great businessperson on top of a wonderful creator. There is such a lesson in that, right? I really love those necklaces and what a great story to share! Reading such inspirational story makes us feel good and drive us to work hard on our dreams. Really love the way woman support others. Such a great interview!!! This is such a wonderful interview. I love the rise in successful female entrepreneurs in the bloggin community. Thanks for sharing!!! What a lovely lady! I am so glad that she gives back a part of the profits earned to support a non-profit and other women! Great interview and cause! I learned a lot from this post. Wow she is truly an inspiring girl boss. And i like her curations! I do crochet as well and her works are splendid. Me too. She is definitely differentiating her brand by curating very unique creations. That was one of my favorite parts about this interview. She really was candid about how much of her journey has been influenced by mentor and resources that she benefited from. What an awesome interview this was! I am heading to her website now because I want to get one of her necklaces. The ones you have pictured here are so cute. That’s great. Thanks for dropping by Robin! This was a fabulous interview to read. It sounds like she has a great business. I love in Texas too–I’m in San Antonio! Awesome Amber. Be sure to check out her site and social channels. I know she participates in local events. It was very nice to get to know about you and how you got started. Women are empowered and can make a difference. Some in small ways others in big. She sounds amazing! There were so many women entrepreneurs out there that deserves attention for what they are doing. I hope to attain to this myself at some point. How inspiring! Love her beautiful items, and it was really hearing her tidbits of knowledge. Love hearing about successful female entrepreneurs. Sounds like she has had an interesting journey to success – and I’m impressed that she juggles work and twin toddlers! I love that you are supporting other women! I love to read about Mama bosses! It’s so inspirational. It’s great to see that she’s doing something she has passion for. People deserve to love what they do and work towards their dreams. I’m a huge fan of handmade things as well. It takes talent and patience to learn the craft! I love seeing the talents of others and supporting that. What a wonderful profile! It doesn’t take much to make our dreams come true other than hard work and continued dedication. Congratulations to Ofelia on her success and wishing her continued success. Her pieces are absolutely stunning. This is a great interview and very empowering! We need more women entrepreneurs like her! I love to read inspirational things like this! I am so happy to see successes with female entrepreneurs. What an amazing interview! Women in the world that are like this are so inspiring to me!